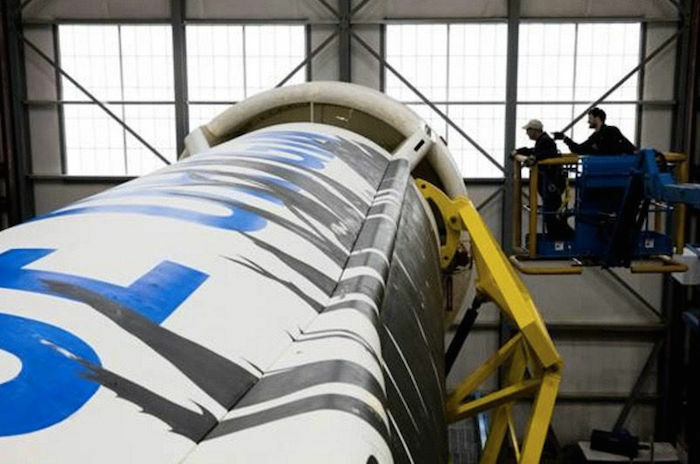 Blue Origin aims to launch and land this New Shepard rocket for the third time on April 2, 2016. 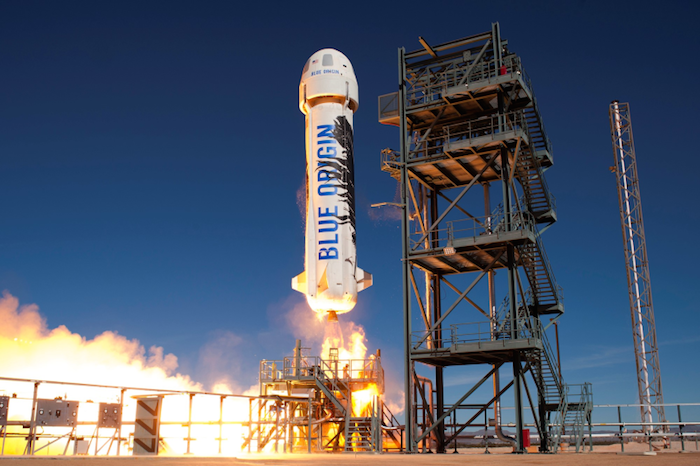 Blue Origin is taking this whole "reusable rocket" thing pretty seriously. The private spaceflight company, which was established by Amazon.com founder Jeff Bezos, aims to launch its New Shepard rocket to suborbital space, and bring it back to Earth in a soft landing, for the third time Saturday (April 2). "Pushing the envelope. Restarting BE-3 fast @ high thrust, just 3600 ft from ground. 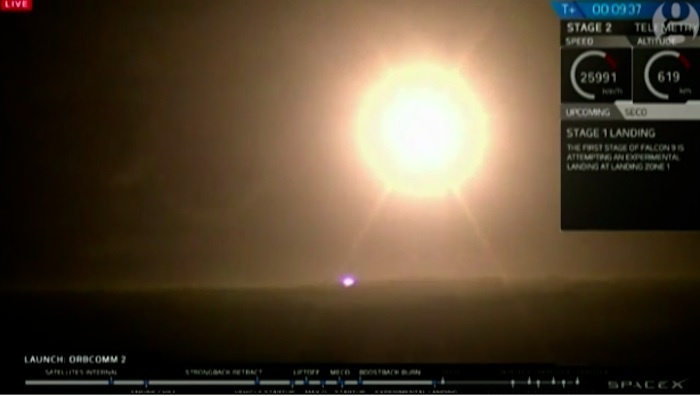 Impact in 6 sec if engine doesn’t restart & ramp fast," he added in another tweet, referring to New Shepard's BE-3 engine. Saturday's planned flight will test out a new algorithm for the New Shepard capsule's reaction control system, and will also take two university-developed microgravity experiments to suborbital space, Bezos said. 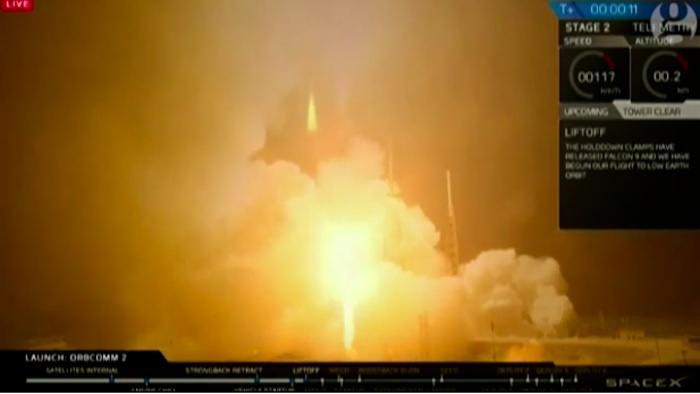 And if all goes well, we should get a good look at much of the spaceflight action. "We’ll have drone cameras in the air and hopefully will get good aerial footage to share," Bezos said in another tweet on Friday. Tests such as Saturday's planned flight are part of Blue Origin's effort to develop fully and rapidly reusable launch systems, which is also a priority for SpaceX and its billionaire founder, Elon Musk. Bezos and Musk believe reusability is key to opening the heavens to exploration. Indeed, Musk has said that reusable rockets could slash the cost of spaceflight by a factor of 100, perhaps making Mars colonies economically feasible. Crew Capsule is locked & ready for flt. 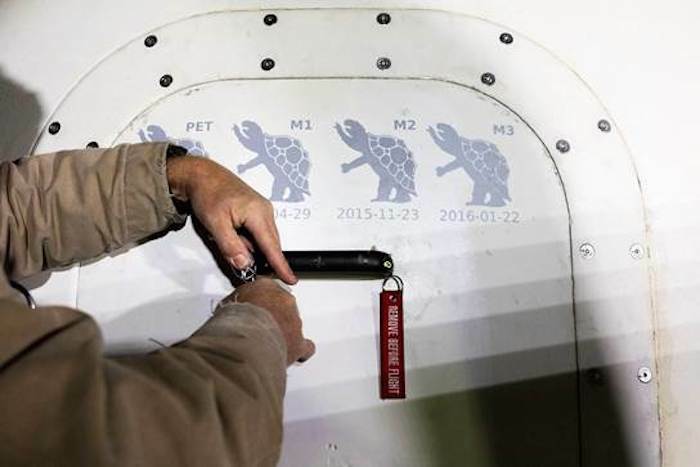 Tortoises mark successful CC missions. Back in January, Blue Origin relaunched its rocket after successfully landing it in November 2015. They just launched it again. Jeff Bezos has been on Twitter with a surprise announcement that they would be launching the rocket again, and will be attempting to land the vehicle for the third time. 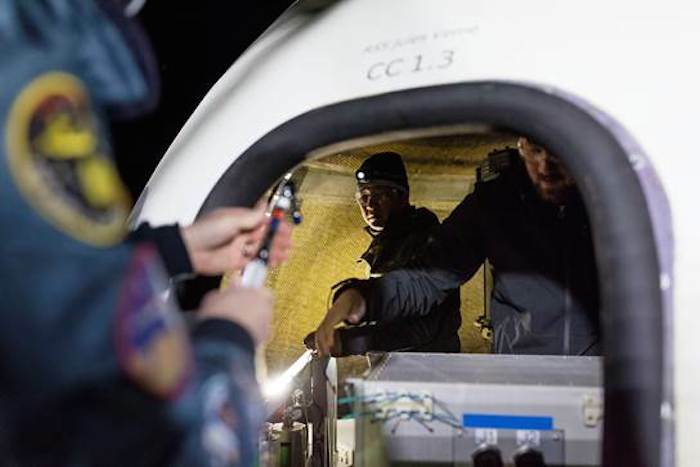 The mission will be carrying a pair of microgravity experiments with into space - the Box of Rocks experiment, which will examine how the surfaces of asteroids behave, and the Collisions Into Dust Experiment, which will help scientists understand how low-gravity impacts work. 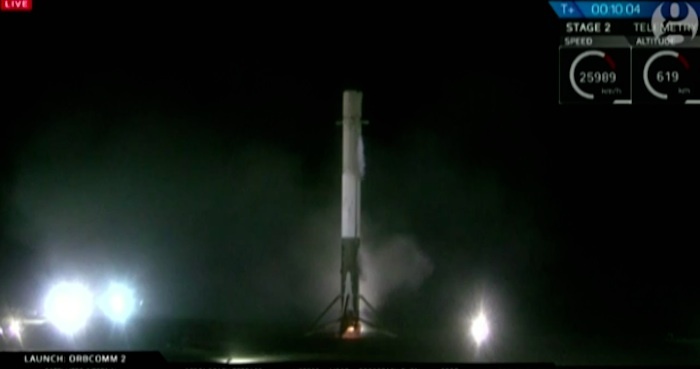 The company launched the rocket with little fanfare, moments ago. The private spaceflight company Blue Origin has successfully landed a rocket for the third time, owner Jeff Bezos announced on Saturday. The billionaire tweeted about his usually secretive company, which is competing with SpaceX, owned by tech mogul Elon Musk, to revolutionize spaceflight with reusable rockets. In November, Blue Origin became the first private company to land a rocket, launching its New Shepard nearly 63 miles above the Earth and setting it back down at the west Texas site where it took off. In January, the company repeated the feat, and posted video of the landing. 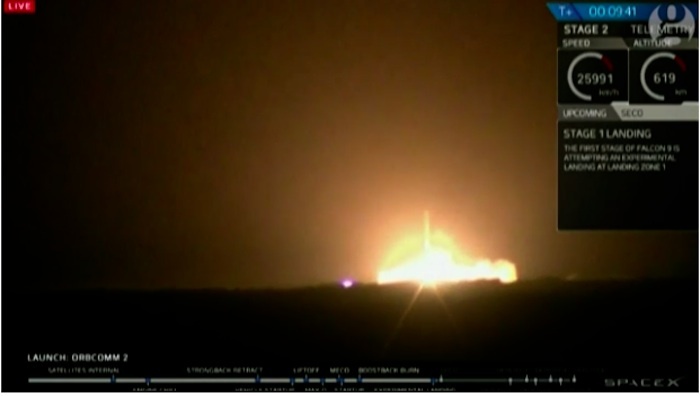 The New Shepard rocket that launched and landed on Saturday had completed the feat before. 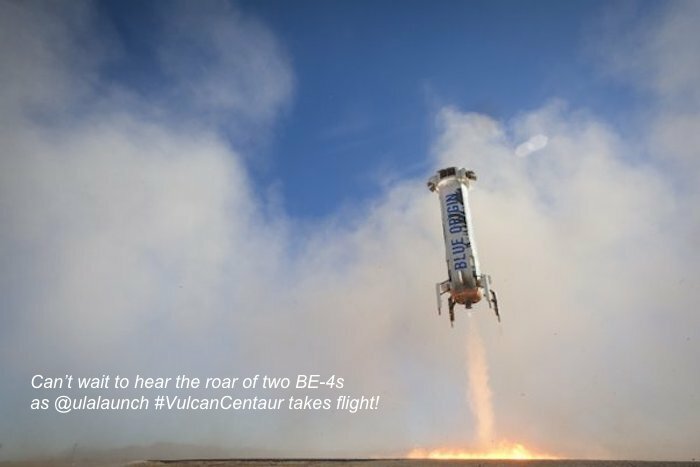 For the latest launch, Blue Origin re-engaged its engines only 3,600ft above the landing platform, leaving a smaller margin for error. It also carried two experiments, on collisions between objects in microgravity and the soil of near-Earth asteroids. Unlike Musk, who airs live video of SpaceX’s launches and landing attempts and frequently talks about his hopes for spaceflight, Bezos, the founder of the Amazon retail empire, rarely shares his rocket work with the public. The first two landings were announced only after their completion, and with slickly produced video to accompany them. He has since let a few journalists into the operation, and promised video and more details of Saturday’s landing. 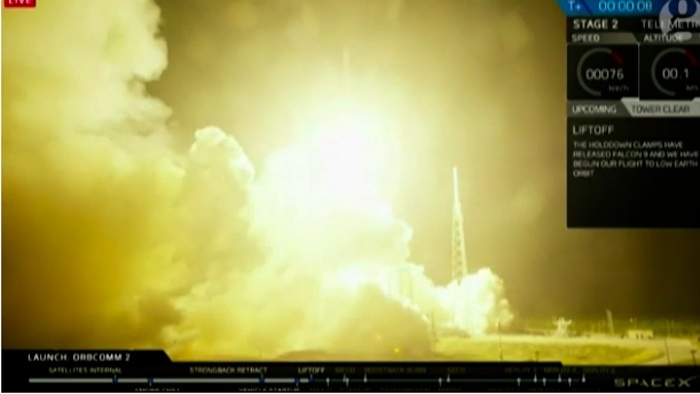 SpaceX has also successfully landed a rocket on solid earth, but Musk hopes to land one of his Falcon 9 rockets on a robotic barge. The company has tried repeatedly to complete a landing of a 68m-tall rocket on the barge, most recently in March. Each such attempt has failed – at times with spectacular results. Both companies hope to dramatically reduce the costs of spaceflight, which still relies on one-use rockets that cost tens of millions of dollars and burn millions’ worth of fuel.